Where pedigree and commercial livestock are concerned the Alford family is steeped in tradition and success, right from the early days when Michael left school and started showing Aberdeen-Angus cattle with his Grandad. From the early days of exhibiting commercial stock at the major winter shows, the Alford family have since furthered their livestock enterprise with the addition of pedigree Limousin, Galloway, Aberdeen-Angus and British Blue cattle, as well as flocks of pedigree Charollais and Texel sheep, all alongside Charlotte’s consistent passion for horses. But showing at the Royal Smithfield event is where the family’s show success story really began. In 1991 Michael and Melanie purchased a Charolais cross heifer from David Sinclair at Smithfield which in turn produced a Limousin cross calf by Shatton Pedro. Named Bruno, this one went on to win the Kings Cup for the best animal bred by exhibitor in 1994 and in the same year won the junior crossbred steer championship with an animal that went on to win Limousin 2000. Success followed a few years later in 1998 with four animals in the Smithfield team, including a heifer calf, Take That, out of the early Charolais purchase, which went on to be heifer champion. Championship results kept flowing with Red Hawk taking the junior championship at Smithfield in 2002 and in 2003 the same steer was champion steer and reserve overall at Birmingham and heavyweight champion at the Scottish Winter Fair. His full brother, Die Another Day, took the steer and reserve overall championship at the Scottish Winter Fair in the same year. But it was 2009 which proved to be the most successful year yet for the family, aided by Charlotte now taking a wider role in the show ring. The team, which consisted of Hanky Panky, Lady Gaga, Just Dance and Paparazzi, all dominated the headlines at the Scottish Winter Fair winning their classes and bringing home the heifer and reserve overall championship, as well as the reserve steer championship. At the same event, the pedigree Galloway steer, Superman, took the native and pedigree championship. Smithfield is the event in the commercial show calendar that everyone dreams about winning and in 2009 dreams certainly came true as we took the overall championship with Hanky Panky, but also went heifer and reserve overall champion with Lady Gaga. Achieving this amazing win was made even more memorable as we are the only exhibitors to have ever achieved this. 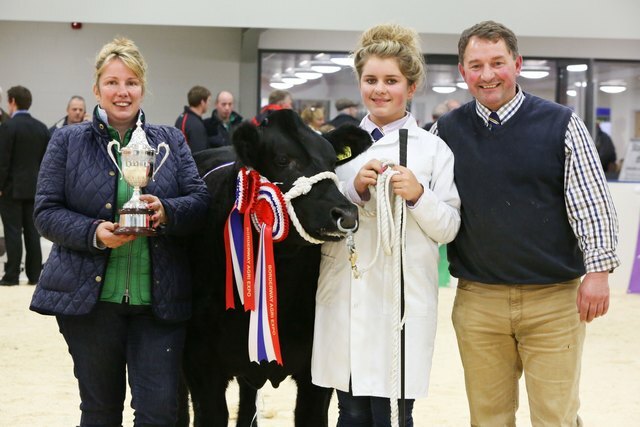 In the same year, Charlotte’s calf, Poker Face, won the calf championship at Agri Expo, reserve calf at the Scottish Winter Fair, calf championship at Birmingham, reserve calf at Smithfield and then the calf championship at the Royal Welsh Winter Fair. Continuing the strong Lady Gaga theme, 2010 saw Alejandro winning the championship at Agri Expo and the Scottish Winter Fair and Poker Face winning the championship at the Welsh Winter Fair as a heavyweight heifer. From here on in, showing both at summer and winter events has seen the Alford family continuing to bring home the championship tickets. 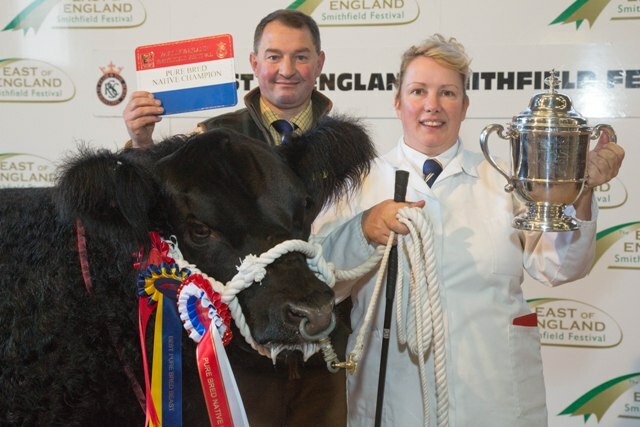 The commercials continued with Smarty Pants winning many local shows, as well as the Royal Highland Show and No Likey No Lighty taking steer championships both regionally and at the Royal Welsh and then the East of England Smithfield Festival. 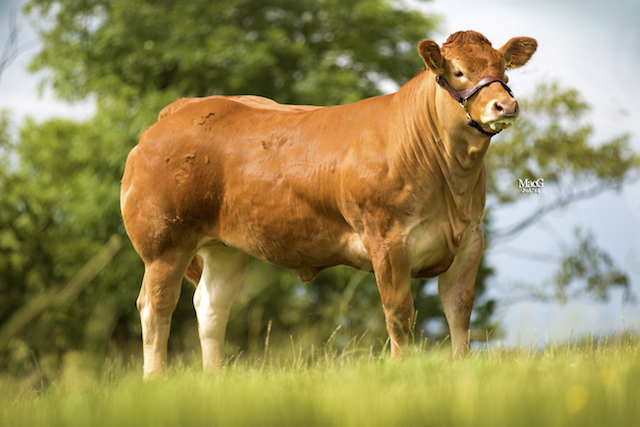 The Foxhillfarm Limousin herd was established in 2011 with the aim of creating an elite herd based on strong family lines to produce top quality males and females for sale in to pedigree herds. Initial purchases included females sourced from the Bankdale dispersal sale, including Alice and Elizabeth who have already proved their worth time and time again with Alice to date grossing 500,000gns worth of progeny sales and Elizabeth grossing 250,000gns. Now their progeny are breeding exceedingly well in the herd and have been joined by choice female lines over the last seven years, such as the world record priced Limousin female, Glenrock Illusion and Corranhill Krystal. Alice was purchased with a calf inside her, so the first calf born to carry the Foxhillfarm prefix was Foxhillfarm Gracie. This Wilodge Vantastic daughter was a stand out from the beginning and held her own as a baby heifer on her first outing at the Royal Welsh Show and then went on to have a coveted career in the show ring the following year at both regional and National level. She has also produced exceedingly well for us including the 20,000gns Louisvuitton and the 35,000gns Manhattan, both of which took Carlisle championships. Alice’s progeny have also included the 14,000gns Impeccabull, the 12,500gns Inthegold, the highly successful 35,000gns Jasper, the 29,000gns Jupiter, the 19,000gns Jackflash, the 35,000gns Lordofthering and the 19,000gns Liberty. Meanwhile, Elizabeth has produced the 38,000gns Irishlad, the 11,000gns Incredibull and the 9000gns Magregor, as well as successful show heifers. In 2014, world records were set when the Alford family purchased Glenrock Illusion from the Illingworth family for 125,000gns and later sold a half share to Danny Sawrij of the Swalesmoor. 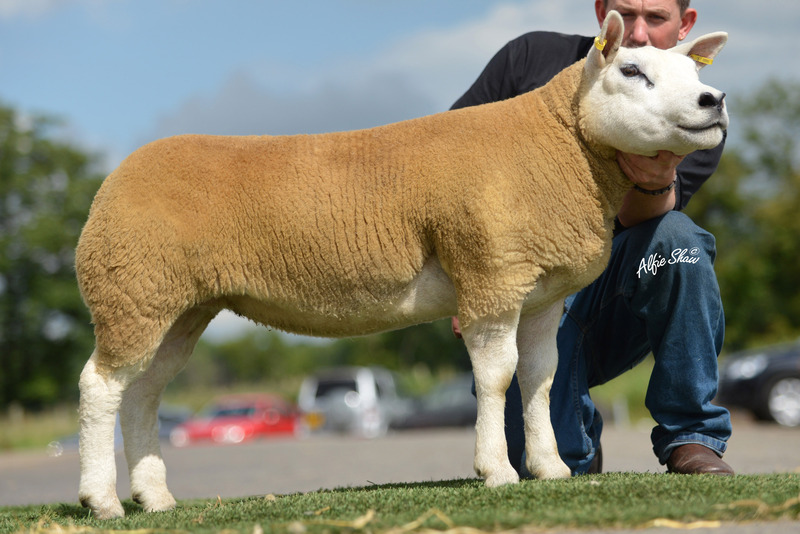 She has then bred the 42,000gns Mammamia who’s show career in 2017 proved to be yet another phenomenal success story culminating in winning the interbreed at the Royal Highland Show. Full sisters include the 35,000gns Missworld and the 10,000gns Missmoneypenny. In 2016 we entered the South West Limousin Breeders Club herd competition for the one and only time and came away with vast success including taking the reserve overall championship, as well as winning the small herd class and the award for the best new entrant. In 2017 came the latest addition to the female line up at Foxhill in the form of Corranhill Krystal, a heifer purchased privately from Ireland as a new outcross dam line for the herd. 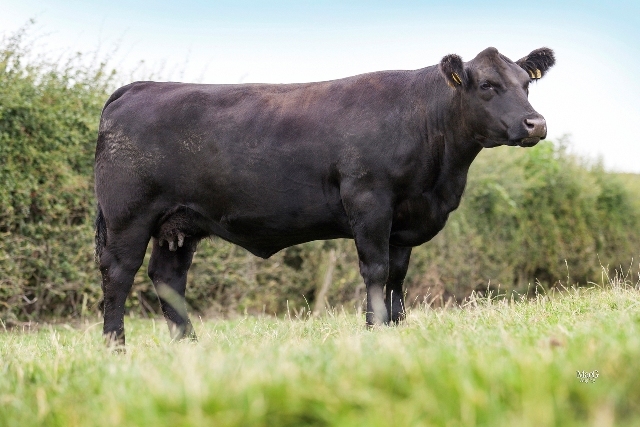 After a lifelong passion with this breed, Aberdeen-Angus cattle were re-introduced to the Alford family livestock portfolio with the purchase of Weeton-bred females in 2015 including the 13,000gns Weeton Diamond Mist M351 and the 7000gns Diamond Mist N383. 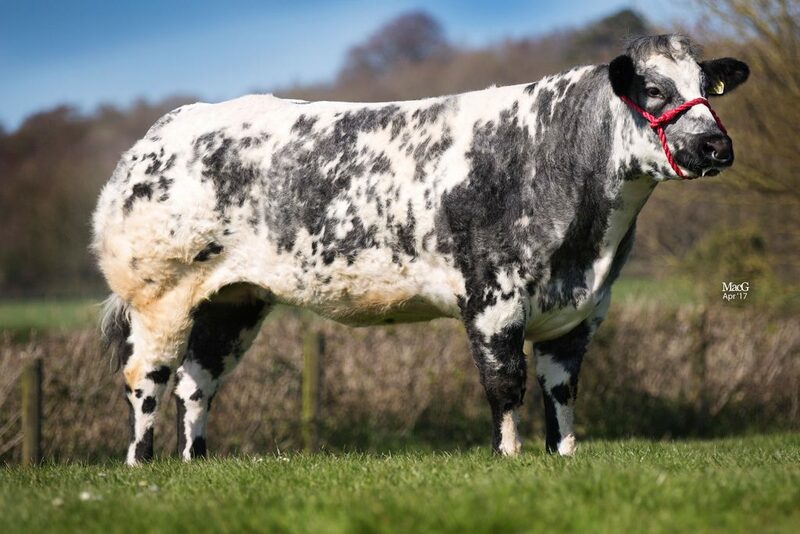 To date we have sold one bull in Carlisle and have since flushed both females to Gretnahouse Blacksmith L500 and Rawburn Blackhawk L261 and both are now in calf to Rawburn Elysium F547. In 2016 Charlotte established her British Blue herd in celebration of her 18th birthday with the arrival of the privately purchased Rhymil Kylie. Having had a fantastic show career with breeder Rhys Millichap, Kylie then went on to continue her reign in the show ring in 2017 as part of our show team. Kylie has since been flushed to traditional sires such as Park Daimler and Bringlee Freeman with a view to selling a calf each year on a recipient while retaining progeny for a small nucleus herd. The Galloway herd was established in 2008 with females purchased from Kilnstown Farms, Cumbria, which have bred exceedingly well in the herd. Galloways were purchased to produce primestock animals to compete in the pure native classes at primestock shows. Specific show winners include Superman who won the native championship at the East of England Primestock Show and Scottish Winter Fair in the same year. 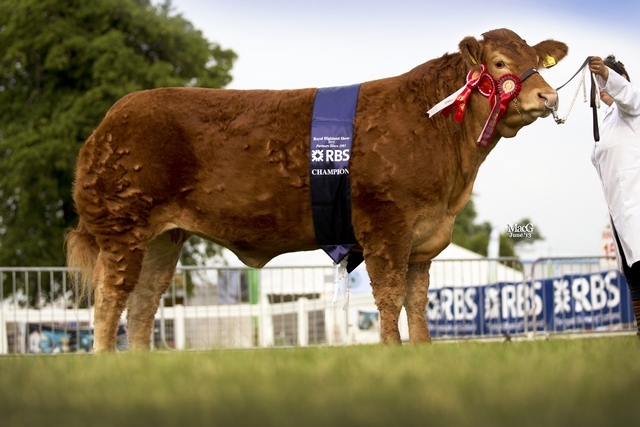 In 2011 the family’s first homebred heifer, Superstar, won many accolades including champion native at Agri Expo in Carlisle, reserve native at the Scottish Winter Fair and reserve native at the Royal Smithfield Show. Another success story was Super Mario, who went on to stand champion native at the Scottish Winter Fair and also won the Queen Mother’s Cup at Smithfield, as well as champion native at the same event. 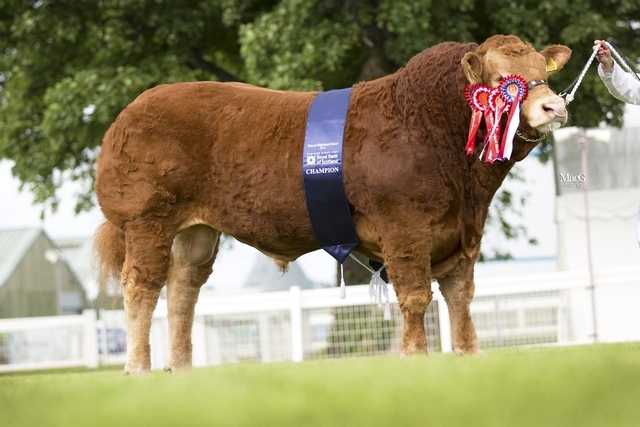 Meanwhile, in 2015 the family had success with Supersonic, who started his career taking the native championship at Frome Show, followed by being a class winner at Beef South West. He then stood reserve native champion at the English Winter Fair before winning the Queen Mother’s Trophy at the East of England Smithfield Festival. 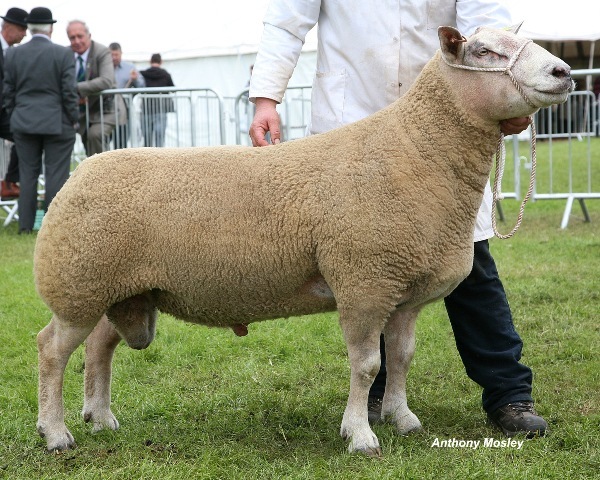 The Foxhill and Wayside pedigree Texel flocks were established in 2011 with the private purchase of an Ettrick female, as well as the purchase of an 11,000gns Fairywater gimmer and later a 8500gns Kelso gimmer, as well as other females. These females have bred well in the flock and have been flushed to strong sires to produce powerful progeny with great length, tops, gigots and style. More recently Midlock Youre The One was purchased for 23,000gns in partnership with the Roxburgh and Brijon flocks. The flock now runs at 10 nucleus females which are flushed to top quality sires for producing both commercial and pedigree tups. The Charollais flock was established in 2006 mainly due to the breed’s ability to produce early finishing quality carcass lambs off grass with great length, easy fleshing and fantastic eating quality. Early foundation females were purchased from the Foulrice, Wraycastle, Loweyre and Southam flocks where we looked to purchase correct, well muscled and fleshed, clean females with strong family lines. Showing has been undertaken largely at a regional level with great success including winning breed and interbreed championships at Devon County, Royal Bath and West, Royal Three Counties and Royal Cornwall. As well as livestock breeding, Michael and Melanie own and run Stillmans Somerset Ltd, an abattoir based in Taunton which now trades under the wider umbrella of Staplegrove Livestock Ltd. The 100 acres situated at the abattoir houses a finishing unit for 250 head of commercial cattle for the business which offers a kill and cut service for farmers as well as supplying a number of butchers shops throughout the south west of England and restaurants from Landsend to London. 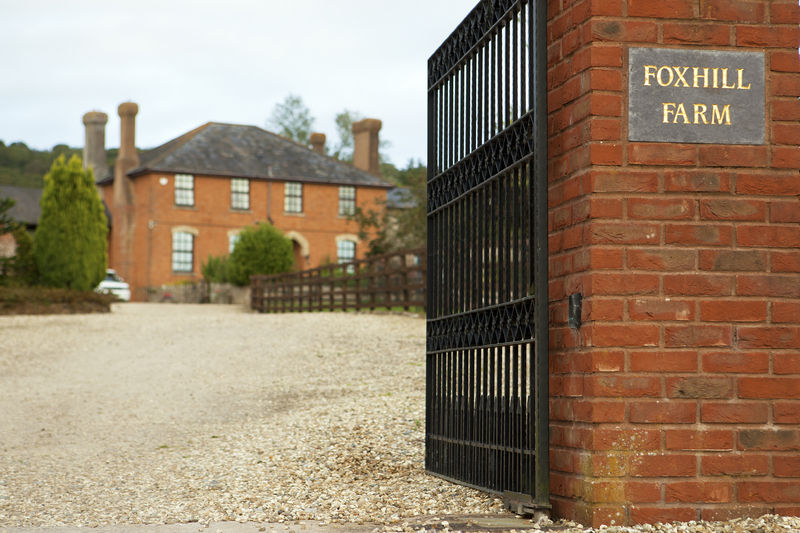 Foxhill Farm was purchased in 2004 with a further farm, Wayside, purchased a couple of years later. In 2014 Greenswangs, a 30-acre property in Dumfries, Scotland, was purchased with the adjoining farm Marchdyke being purchased in 2017 adding a further 60 acres to the portfolio.